blue fleshy leaves, edges of leaves are slightly pink and bearing 10 inches long slender pink stalks of pink blooms with yellow tips in winter and spring. Common Names: Mexican snow ball, Mexican gem, white Mexican rose. Mexican snow ball plant thrives best in full sun to light shade. In indoor an east or west-facing window where they receive four to six hours of sunlight is ideal. 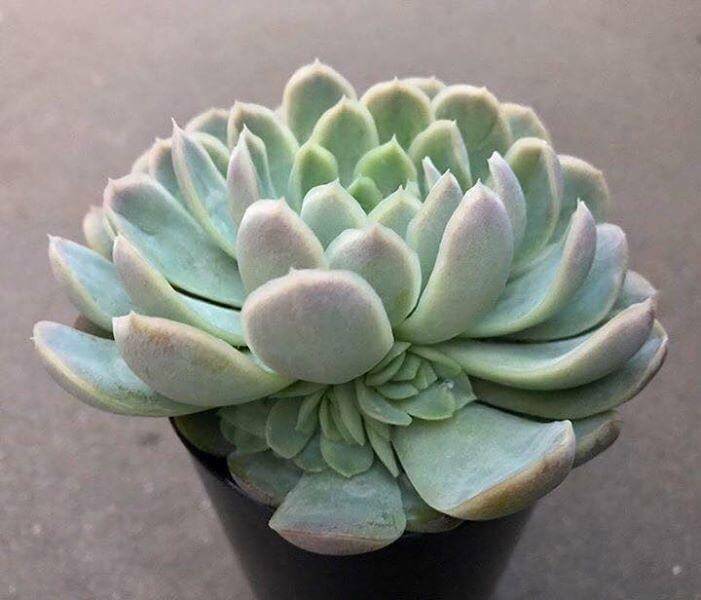 It grows well in a well-drained succulent mix, with an ideal pH around 6.0 (slightly acidic) or use equal parts sharp sand with all-purpose potting mix. 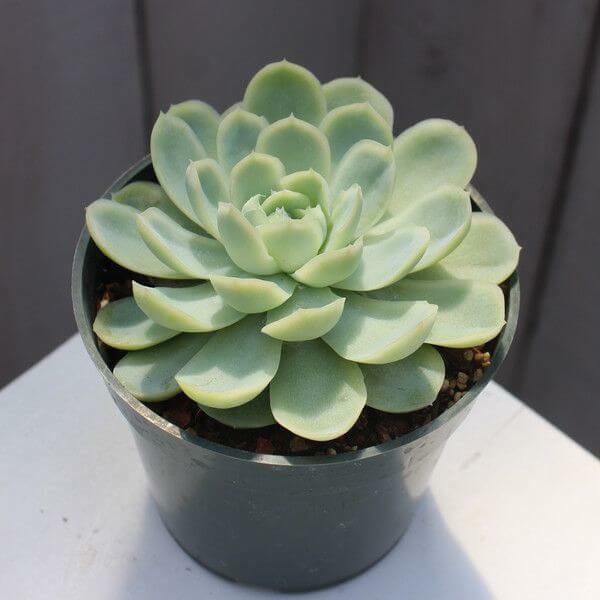 Water the Mexican snow ball plant regularly during the summer and spring. keep the soil evenly moist but not soggy. You can allow the topsoil to become slightly dry between each watering. It prefers an average to warm 65 degrees Fahrenheit – 80 degrees Fahrenheit / 18 degrees Celsius – 27 degrees Celsius. Slightly cooler in fall and winter 55 degrees Fahrenheit – 75 degrees Fahrenheit / 13 degrees Celsius – 24 degrees Celsius. Fertilize every two weeks from spring through fall with 2-7-7 liquid manure diluted by half. Mexican snow ball can be easily propagated by seeds, offsets or leaf cuttings in spring. Allow leaf to dry for 24 hours to stop the oozing of its sap. Push the cut end into the moist potting mix. There is no serious pest or disease issues. Mealy bugs can be a problem, and if dead leaves are not expelled from the plant, it can attract other insect pests or have problems with fungus.